We want our music LOUD! We want it to be heard by almost everyone (when we’re in the right mood). Sure, there are lots of wireless speakers in the market, but they’re not born equal! They differ in their technical specifications, design, and performance. So if you want something thunderous, here’s a list that we want to share with you. This list may help you out in picking up the best and loudest wireless speaker. Bring the house down with these wireless speakers. Why it’s on our list? Well, this wireless speaker is just powered by two 5-watt drivers, a 10-watt subwoofer, and dual passive radiators. These powerful behind-the-speaker grill gears help the Vava Voom 21 to produce a dynamic and pretty loud volume. It can bring the house down. It also comes with an aptX technology to have flawless audio performance even on Bluetooth. Of course, it’s not enough to have just a loud speaker. It needs to have an excellent audio production as well. You can switch from three EQ preset modes. The standard, party, and surround modes. For casual listening, you better choose the standard or surround mode. The bass performance is superb; making the surround mode leaves you thumping for more. 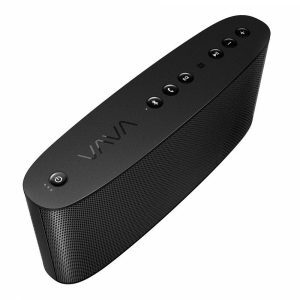 The curved, oval design of the Vava Voom 21 has a durable feel. It has a speaker grill all over its body to produce a 360-degree sound. There are four rubbers on the bottom to grip it in place. The control buttons are on the topmost part of the speaker for easy access. It boasts off of a 6700 mAh battery that lasts up to 10 hours of continuous playtime. There’s a power bank slot at the back of the speaker so you can fully charge your smartphone while on the go. Why it’s on our list? The Cambridge Oontz Angle 3XL is meant to produce a big and loud sound! It comes with a powerful 40-watt driver, 2.75” precision drivers and two 13mm custom tweeters for an audio production like no other. Want some awesome bass performance? 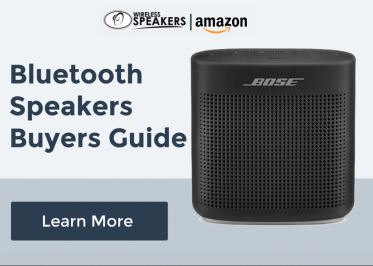 This is the right wireless speaker for you. With three passive radiators, two on the side and one on the rear, it can make any bass-heavy music beat like crazy. You can fill any room with impressive sound experience if you use this wireless speaker. Max out the volume without the worries of distortion ever again! 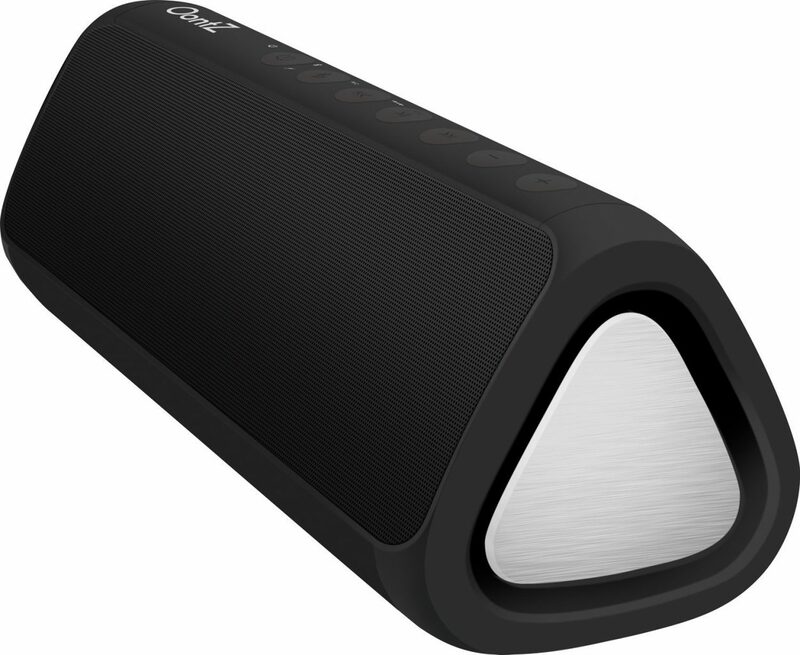 It has an elongated and stylish triangular-shaped design that adds more vibe to the speaker. It also comes with an IPX5 rating which means it’s safe against inevitable splashes of water. You can lay loud music even at the poolside or at the beach. However, it can’t be submerged under water. 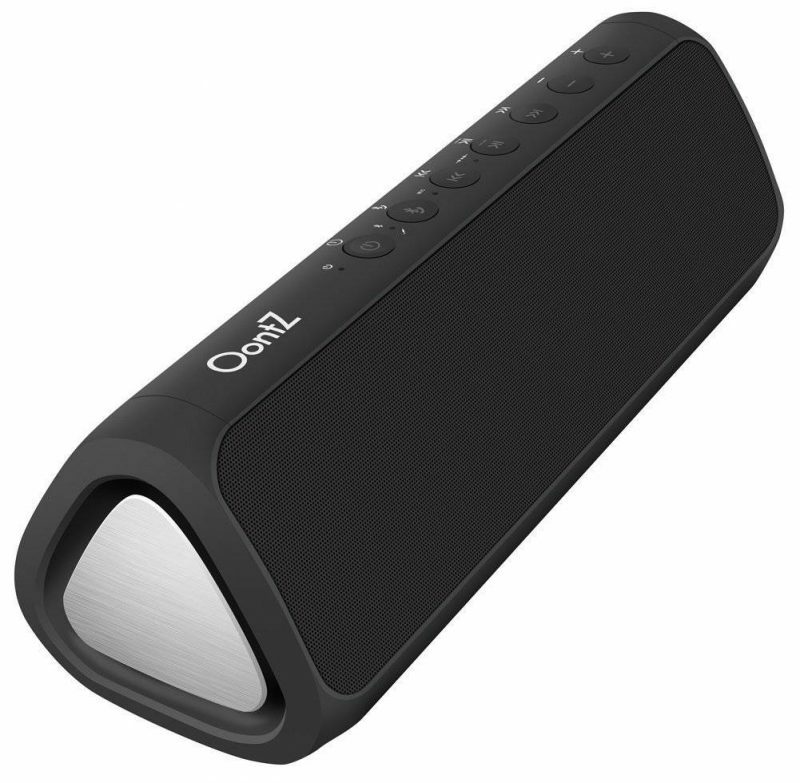 Play music wirelessly through Bluetooth connectivity and the Oontz Angle’s 3XL’s rechargeable battery. You can go on and party for straight 8 hours before the battery drains. To enjoy music from non-Bluetooth devices, just plug in the 3.5mm audio cable to the audio source. Your phone’s battery dropped to zero? Charge it using the speaker with no sweat. Why it’s on our list? Ultimate Ears’ MegaBoom is in our list of loud speakers because it has two 2-inch drivers and two 2-inch by 4-inch passive radiators. 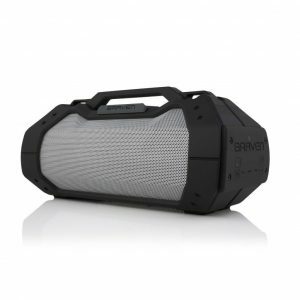 Its maximum sound level is 90dBA so you can start an epic party anywhere with super great music performance. 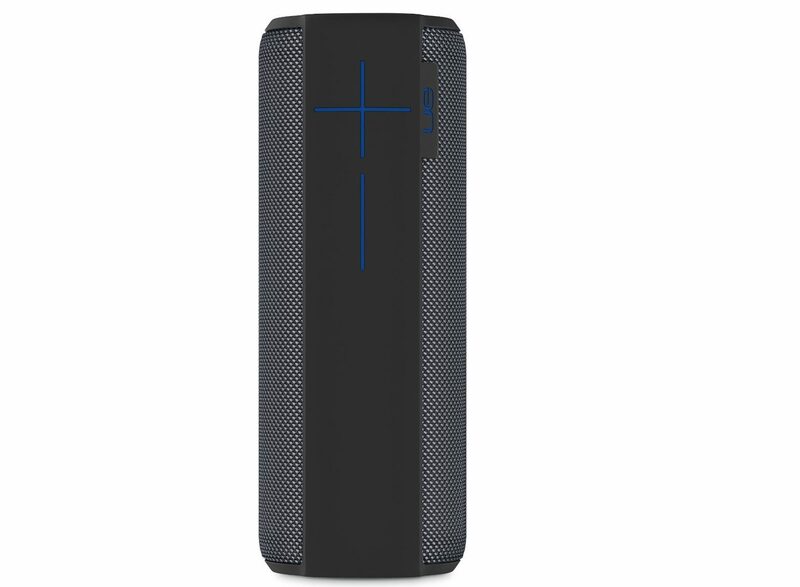 If you want more awesome sound for a bigger party, connect your UE Megaboom to another UE speaker using the UE MegaBoom app. Using a Bluetooth connection, you can seamlessly listen to good music without the cluttered wires all over the place. The Bluetooth operational range is up to 30m before the connection becomes intermittent. It’s compatible with the Siri and Google Now virtual assistants so you can verbally say your commands without having to scroll your phone for the next song manually. Say it to play it! Being the life of the party doesn’t stop on having a good audio performance, it also has to have a beautiful design. This life of the party comes in different vibrant colors. It’s also waterproof with an IPX7 rating. It can not only resist splashes of water, but you can also immerse it in liquid up to 1 meter for 30 minutes. 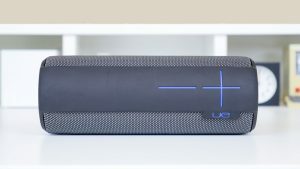 The UE MegaBoom comes with a rechargeable battery that can power up to 20 hours. Its battery life may change depending on your usage. If the battery is empty, recharge it for 2.5 hours to have another 20-hour continuous audio entertainment. Why it’s on our list? It’s massive with a massive sound! Underneath the speaker, you can find four HD audio drivers and one subwoofer responsible for creating a big sound with excellent quality. It’s dubbed as the loudest wireless speaker for outdoors. You can even customize the bass and treble settings without trouble. If you want to host a party, you can plug in a universal microphone for a good emceeing performance. You can bring it to camping, beach, or wherever! It’s built to last any weather condition and has an IPX5 water-resistant rating. You can party rain or shine! The shockproof exterior makes it withstand any accidental falls and bumps. 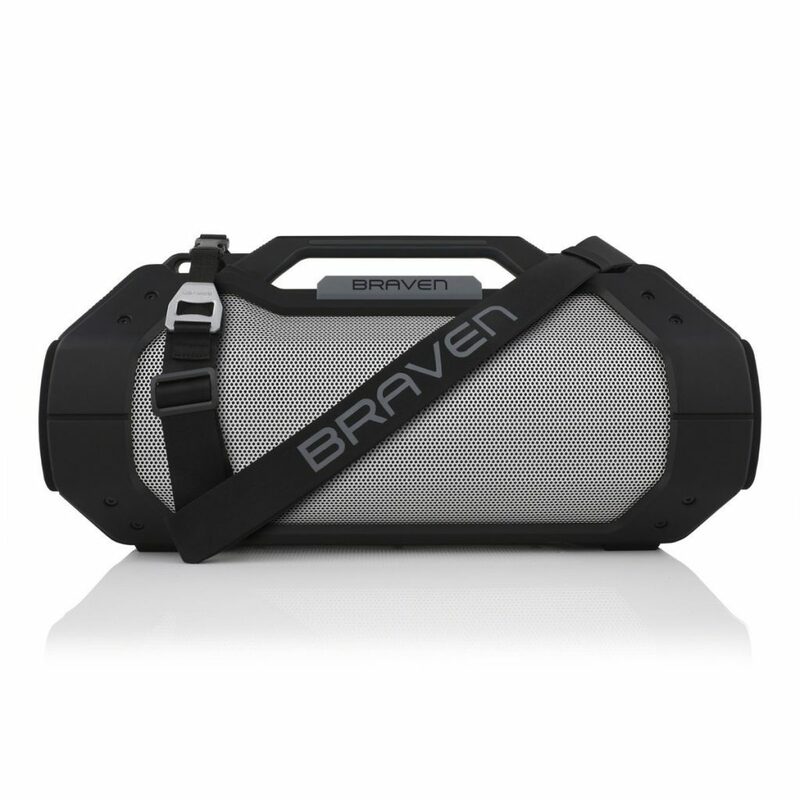 The Braven XXL’s large built comes with an ergonomic grab handle so you can bring it anywhere. It features 15, 600mAh rechargeable battery that can give you a 14-hour continuous playtime. Play music the whole day and night. Since it’s powered by a dynamic battery, you can use it as a power bank and charge your smartphone or gadgets while partying. That ends our top 4 loudest wireless speakers. We hope you enjoy pumping up with your favorite playlist and party with your friends! Bring the house down with any of these wireless speakers.